Challis is sometimes referred to as challie or chally, it is a lightweight woven fabric, originally a silk-and-wool blend, which can also be made from a single fibre, such as cotton, silk or wool, or from man-made fabrics such as rayon. Apparel made of Challis should be loose fitting and comfortable; not body hugging. Items commonly made of Challis include dresses, loose or baggy pants, shorts and tops. Being that SAS Fabrics Superstore is located in the Sonoran desert it gets pretty damn hot making Challis a fabric of choice because of its lightweight and free flowing characteristics. Challis comes in many different colors and patterns. Click here to learn a little about many different fabrics. There are many advertisements on the page so try to not let those distract you. Take Care & Happy Sewing! 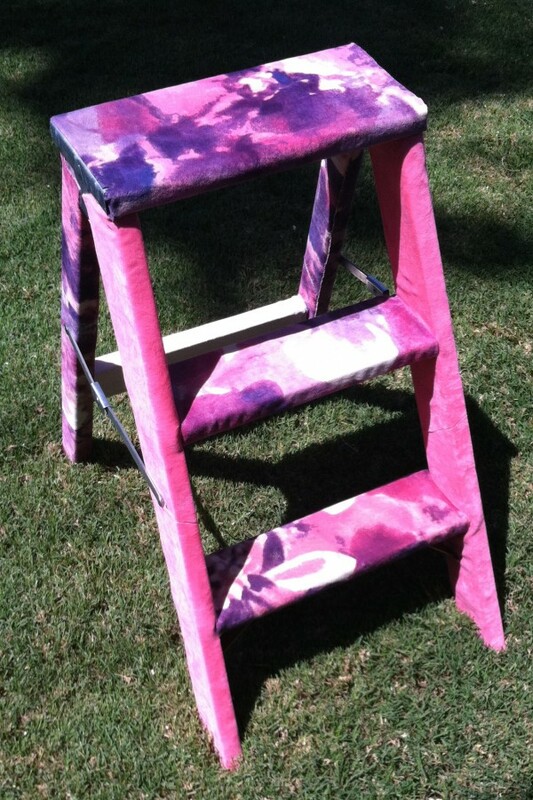 A tutorial with patterns to finish a two foot tall wooden ladder with fabric. 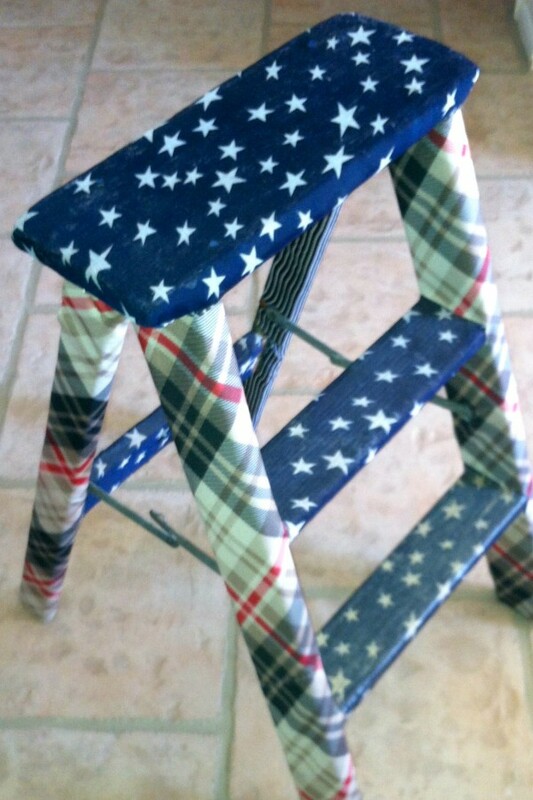 Protect your home and furniture by covering your handy yet harsh little step ladder with fabric. Makes a great accent piece for most any style of decor. Protect your other furnishings by covering the potentially hazardous hard corners of the ladder by softening them with a fabric finish. I feel as if I forgot something. Thinking about SASsy Sewing blog I realized that I never really introduced my readers to our store. 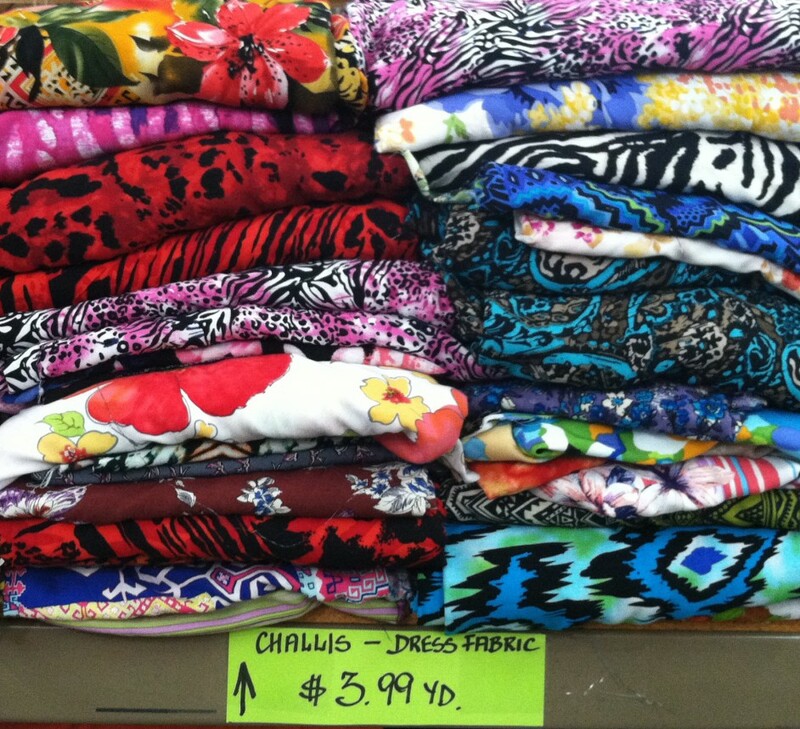 SAS Fabrics Superstore is a discount fabric and sewing craft store located at 9840 N 19th Ave in Phoenix, AZ 85021. SAS started out as a ma & pa (mostly ma) shop with one location in 1964. With hard work and dedication ma & pa were able to grow their business and eventually they grew to 3 stores in 2 states. There were 2 other SAS stores in Arizona created by one of their children The founders of SAS (ma & pa) have since passed away leaving one store to each of their children. Today each SAS store is individually owned and operated but still offer their customers great bargains and a large selection. This blog belongs to the 19th Ave store which is now known as SAS Fabrics Superstore. It is a “super store” worth the drive from anywhere in the valley. But, when you can’t travel to North Phoenix another SAS is your next best choice. We at SAS Fabrics Superstore look forward to creating a lasting relationship with each of our customers and this blog is one way we can communicate with our clientele and exchange tips, knowledge and ideas. We are also working on being more involved with the community in general so please feel free to post information about local businesses, events, sewing & craft classes and super bargains. So come on in to SAS Fabrics Superstore and check out our amazing deals on fabrics for upholstery, drapery, apparel, costumes and more. We have a bridal section filled with sequins, lace, satins, notions and such. We have a good selection of tiaras, rings, hair accessories, flowers, belts and other bling-bling. We also carry peacock feathers and belly dancer’s belts. Take care & thanks for reading my blog.